Browse organic-fertilizers suppliers by country and region. Bio NPK Bio-NPK is able to synthesize/assimilate atmospheric nitrogen, solubilize phosphate and mobilizes potash into available form, thereby providing balanced nutrition to the plant. Tierra Overseas is manufacturer and exporter high quality Bio NPK in India. CFUFormulation 1 x 109 per gmWettable Powder (WP) and Granules (GR) 1 x 109 per mlAqueous Solution (AS) Mode of ActionThe dormant mirobes on reaching the soil and getting moisture activate themselves, start multiplication by utilizing the carbon source in the soil or from root exudates.The microbes fix atmospheric nitrogen and make it readily available to plants. Simultaneously phosphate solubilizing bacteria secretes organic acids like Malic acid, Succinic acid, Gluconic acid, Keto-Gluconic acid and solubilizes complex phosphorus into phosphate and make it readily available to the plant. Similarly, Potash mobilizing bacteria releases potash from soil lattice and make it readily available to plants. Thus, one product helps the plant get all primary nutrient. Benefits It converts non available forms of micronutrients into available form. Increases yield upto 15%-25%. It encourages early and better seed germination, increases root and shoot growth and reduce dosage requirement of chemical fertilizers (nearly by 25% â?? 30%) initially. Increases number of grains, size and weight of grain and total productivity. It can be used for all Crop plants, orchard and trees. Eco-FriendlyExtremely safe to mammals, human beings, animals, natural parasites, predators, non target insects, fishes, birds, etc. Method of UseMix recommended quantity of the product with well decomposed farm yard manure or farm soil and broadcast during the last ploughing or sowing followed by irrigation. An evening time is ideal for broadcasting this product. In case of liquid formulation, shake the bottle well before use. Once a bottle is opened the entire content is to be used at once. This product should not be mixed with any antibacterial agent or any chemical fertilizer. Recommended forMillets, Oilseeds, Fruits & Vegetables, Coconut, Oil palm, Cotton, Chilly, Lime, Tea, Banana, Flowers, Spices, Contiments, Herbs, Perinnial trees. Dose4 kg per ha or 2 ltr per ha StorageStore the bottles in a cool and dry place away from direct heat and sunlight. NoteWe can provide a consortium/mixture of various bacteria/fungi/microorganisms as per requirement. Bacillus subtilis Bacillus subtilis produces a class of lipopeptide antibiotics including iturins. Iturins help Bacillus subtilis overcome other microorganisms by either killing them or reducing their growth rate. Iturins also have direct fungicidal activity in pathogens. For control of plant disease, product can be applied through foliar application and to the root zone, compost or seed. The bacteria colonizes the developing root system when applied directly to seed, competing with disease organisms that attack root systems. Bacillus subtilis inhibits plant pathogen spore germination, disrupts germ tube growth, and interferes with the attachment of the pathogen to the plant. Early treatment, preferably right from the beginning of cultivation, is advisable for better results. CFUFormulation 1 x 108 per ml Aqueous Solution (AS) Tierra Overseas is manufacturer and exporter of high quality Bacillus subtillis in India. Mode of ActionThe tolerance towards abiotic and biotic stress factors is improved in the plant because the root system of the plant is strengthened, and hence also the uptake of water and nutrients which results in faster growth and greater dry stress tolerance. In addition, many results indicate that the application of Bacillus subtilis changes the phytohormone balance in the plant in such a manner that greater quantities of reserve substances are incorporated into storage organs. BenefitsMoreover, the growth promotion leads to the possibility of disease escape, since the plants can grow out of sensitive stages more quickly and enhanced root growth allows a better compensation. Highly active on root rot and stem rot caused by Schlerotinia, Macrophomia, wilt caused by Verticillium, Fusarium, leaf spot caused by Alternaria, Cercospora, powdery mildew caused by Erysiphae, black scarf in potato caused by Rhizoctonia, downy mildew and many other bacterial and fungal diseases caused in various crops. Eco-FriendlyExtremely safe to mammals, human beings, animals, natural parasites, predators, non target insects, fishes, birds, etc. Classified as Class IV, low hazardous (green label) pesticide. No phytotoxicity and exempted from residue analysis. Method of UseIn case of liquid formulation, shake the bottle well before use. Once a bottle is opened the entire content is to be used at once. This product should not be mixed with any antibacterial agent or any chemical fertilizer. Recommended forMillets, Oilseeds, Fruits & Vegetables, Coconut, Oil palm, Cotton, Chilly, Lime, Tea, Banana, Flowers, Spices, Contiments, Herbs, Perinnial trees. Dosage2 ltr per ha StorageStore the bottles in a cool and dry place away from direct heat and sunlight. NoteWe can provide a consortium/mixture of various bacteria/fungi/micro organisms as per requirement. Pseudomonas fluorescens CFUFormulation 2 x 109 per gmWettable Powder (WP) 2 x 109 per mlAqueous Solution (AS) Tierra Overseas is manufacturer and exporter of high quality Pseudomonas fluorescens in India. 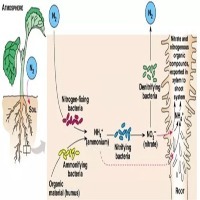 Mode of ActionPseudomonas fluorescens suppresses soil borne diseases which are caused by pathogens due to its adaption to soil application and foliar spray. It enhances plant growth and yield and simultaneously reduces extremity of many diseases. It assists in absorption and uptake of various nutrients and also acts as a growth promoter by producing plant growth promoting substances. Pseudomonas produces Iron chelating siderophores, antibiotics, hydrogen cyanide and lytic enzymes (Cellulase, Chitnase and protease) which are directly involved in the reduction of plant pathogens and thus giving rise to resistance. BenefitsVery effective in controlling crop diseases like Collar rot, Root rot, Stem rot, Wilts, Blights, Leaf spots, Alternaria, Anthracnose, Downy & Powdery mildew. This product gives better results than any chemical and is very cost effective. Eco-FriendlyExtremely safe to mammals, human beings, animals, natural parasites, predators, non target insects, fishes, birds, etc. Classified as Class IV, low hazardous (green label) pesticide. No phytotoxicity and exempted from residue analysis. Method of UseMix recommended quantity of the product with well decomposed farm yard manure or farm soil and broadcast during the last ploughing or sowing followed by irrigation. An evening time is ideal for broadcasting this product. In case of liquid formulation, shake the bottle well before use. Once a bottle is opened the entire content is to be used at once. This product should not be mixed with any antibacterial agent or any chemical fertilizer. Recommended forMillets, Oilseeds, Fruits & Vegetables, Coconut, Oil palm, Cotton, Chilly, Lime, Tea, Banana, Flowers, Spices, Contiments, Herbs, Perinnial trees. Dose2.5 kg per ha or 2 ltr per ha StorageStore the bottles in a cool and dry place away from direct heat and sunlight. NoteWe can provide a consortium/mixture of various bacteria/fungi/micro organisms as per requirement. Bio NPK Bio-NPK is able to synthesize/assimilate atmospheric nitrogen, solubilize phosphate and mobilizes potash into available form, thereby providing balanced nutrition to the plant. Tierra Overseas is manufacturer and exporter high quality Bio NPK in India. CFUFormulation 1 x 109 per gmWettable Powder (WP) and Granules (GR) 1 x 109 per mlAqueous Solution (AS) Mode of ActionThe dormant mirobes on reaching the soil and getting moisture activate themselves, start multiplication by utilizing the carbon source in the soil or from root exudates.The microbes fix atmospheric nitrogen and make it readily available to plants. Simultaneously phosphate solubilizing bacteria secretes organic acids like Malic acid, Succinic acid, Gluconic acid, Keto-Gluconic acid and solubilizes complex phosphorus into phosphate and make it readily available to the plant. Similarly, Potash mobilizing bacteria releases potash from soil lattice and make it readily available to plants. Thus, one product helps the plant get all primary nutrient. BenefitsIt converts non available forms of micronutrients into available form. Increases yield upto 15%-25%. It encourages early and better seed germination, increases root and shoot growth and reduce dosage requirement of chemical fertilizers (nearly by 25% 30%) initially. Increases number of grains, size and weight of grain and total productivity. It can be used for all Crop plants, orchard and trees. Eco-FriendlyExtremely safe to mammals, human beings, animals, natural parasites, predators, non target insects, fishes, birds, etc. Method of UseMix recommended quantity of the product with well decomposed farm yard manure or farm soil and broadcast during the last ploughing or sowing followed by irrigation. An evening time is ideal for broadcasting this product. In case of liquid formulation, shake the bottle well before use. Once a bottle is opened the entire content is to be used at once. This product should not be mixed with any antibacterial agent or any chemical fertilizer. Recommended forMillets, Oilseeds, Fruits & Vegetables, Coconut, Oil palm, Cotton, Chilly, Lime, Tea, Banana, Flowers, Spices, Contiments, Herbs, Perinnial trees. Dose4 kg per ha or 2 ltr per ha StorageStore the bottles in a cool and dry place away from direct heat and sunlight. NoteWe can provide a consortium/mixture of various bacteria/fungi/microorganisms as per requirement. Short on time? Let organic-fertilizers sellers contact you. 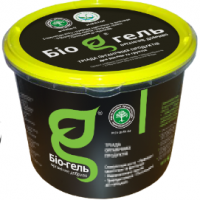 Integrated organic preparation (fertilizer) for plants and soils "Bio gel".The effect of the use of the drug: an increase in yields by 8-30%, reduction of chemical load on soils by 20-40%, restoration of soil fertility, increase of seed ascent and homogeneity of stairs up to 20%, improvement of nitrogen, potash and phosphorus nutrition, increase of plant immunity to fungal and bacterial diseases, improvement of soil microflora activity. Huge range of organic fertilizers and farm inputs with all global safety standards & certificates at incredibly affordable costs. Arka Agri Bioscience Pvt. 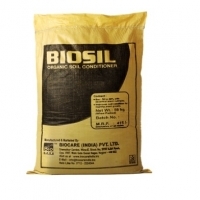 Ltd.
Certified organic fertilizer (USDA/NOP/EU), organic pesticide, organic liquid fertilizer. Neem based eco friendly nitrogen saver organic fertilizer margozyme, micronutrients, organic pesticides & growth promotors.